Have you ever been so innately excited for a film while equally as nervous? Well in this case Justice League fits the bill. 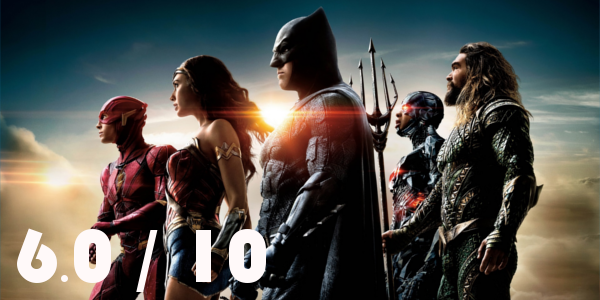 With a troubled production, Justice League was wounded before it really left the gate and yet it’s hard to not be eager to see the DC heroes fighting together on screen. And while the course correction that the film takes is in the vicinity of the right direction, being slightly better the Batman v Superman: Dawn of Justice isn’t a success. Fueled by his restored faith in humanity and inspired by Superman's (Henry Cavill) selfless act, Bruce Wayne (Ben Affleck) enlists newfound ally Diana Prince (Gal Gadot) to face an even greater threat. Together, Batman and Wonder Woman work quickly to recruit a team to stand against this newly awakened enemy. 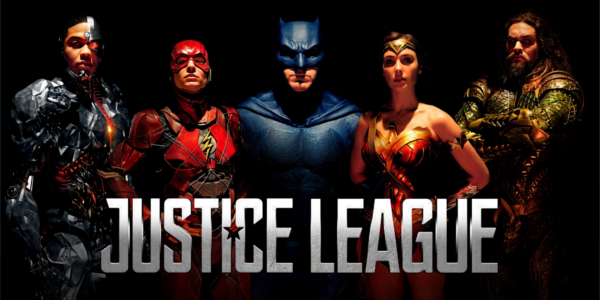 Despite the formation of an unprecedented league of heroes -- Batman, Wonder Woman, Aquaman (Jason Momoa), Cyborg (Ray Fisher) and the Flash (Ezra Miller) -- it may be too late to save the planet from an assault of catastrophic proportions. If there were one word to describe Justice League is would be rushed. Hell, for the first 15 to 20 minutes the editing is on Suicide Squad levels of bad, jumping from scene to scene with little semblance of transitions. The inherently generic plot feels even more run of mill when none of the characters have arcs within the narrative itself. But it’s not like it was unsolvable. A few more minutes added to the runtime could’ve given everything space to breathe, have some personality, or actually build up the characters. Instead the film just feels hollow and, dare I say, forgettable. Perhaps the biggest saving grace is the actors giving it their all. Performance wise, nothing is really all that bad, and for the most part really good. The character dynamics are fantastic, full of chemistry in battle and banter. The weakest of the bunch, surprisingly, is Ben Affleck, who appears to be just about 110% done with this role and going through the motions at this point. Beyond that, Gal Gadot and Henry Cavill have completely embodied their characters, in both appearance and attitude (and yes, the brooding Superman of the past appears to be gone). Of the newcomers, Ezra Miller steals the show but Ray Fisher is the most surprising of the team. Unfortunately, Jason Momoa doesn’t get a ton of good moments, but the potential is there for him to be interesting down the line. Potential is just about all the DC Extended Universe can promise anymore. The course correction that is Justice League was needed, but the sudden shift is a bit jarring. Hearing all of these stories of a hopeful Superman essentially retcons the past few movies as the moody Man of Steel was rarely a beacon of hope then. All of Justice League feels sudden, immediate, and the lack of any real thought behind it. The CGI is clear victim of rushed production, as much of the bigger set pieces look just about as fake as Superman’s upper lip. Most of the effects aren’t the end of the world, just more additions to the pile of wrongs for the film. Overall, Justice League is a cluttered mess with more than a couple of great moments. But even if the potential for the future is there, that’s all one can really take away from the film and even then, it hardly inspires hope for the DCeU. The character dynamics and good performances elevate what could’ve been an even worse outing than it is. Low expectations and optimism mean Justice League is better than Batman v Superman: Dawn of Justice, but not by all the much. So what did you think of Justice League? Have you seen it? Are you interested in seeing it? Share, subscribe, comment below, and as always return to I Am Sam for weekly reviews and insight.